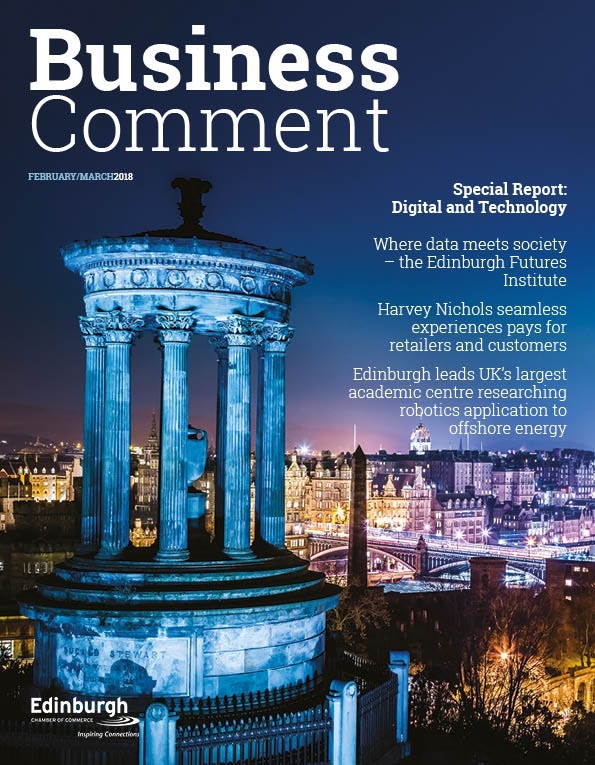 The recent announcement of a 93-mile gigabite fibre network for Edinburgh that will help create ultra-fast internet connectivity was just another example of the crucial role that digital technology now plays in all aspects of our lives. The faster connections will create a raft of benefits for residents – everything from creating better educational IT for our schools through to generating business opportunities. All in all, said the partnership behind the announcement, it is set to boost our local economy by £200 million a year. That’s a lot of opportunity, and a big chunk of economic benefit generated. 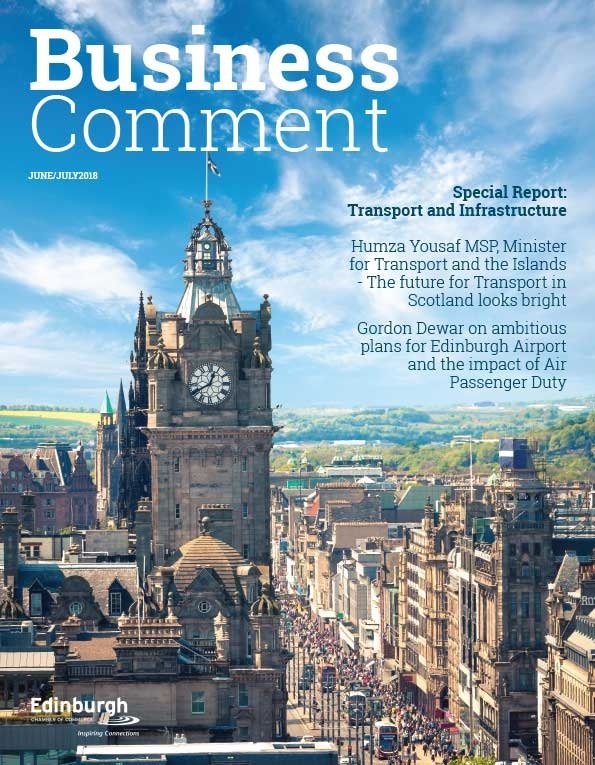 And it is proof, if proof were still needed in this day and age, that Edinburgh is absolutely right to work to be in the vanguard of digital connectivity. Edinburgh’s successful economy is built on knowledge – our great strength lies in our highly educated and skilled workforce – across sectors including finance, technology and innovation, life sciences, and the creative industries. For these sectors to continue to flourish, high standards of digital connectivity are essential. When we now talk about creating world-class infrastructure, the digital infrastructure is a key part of that alongside transport, housing, education,energy and economic regeneration. 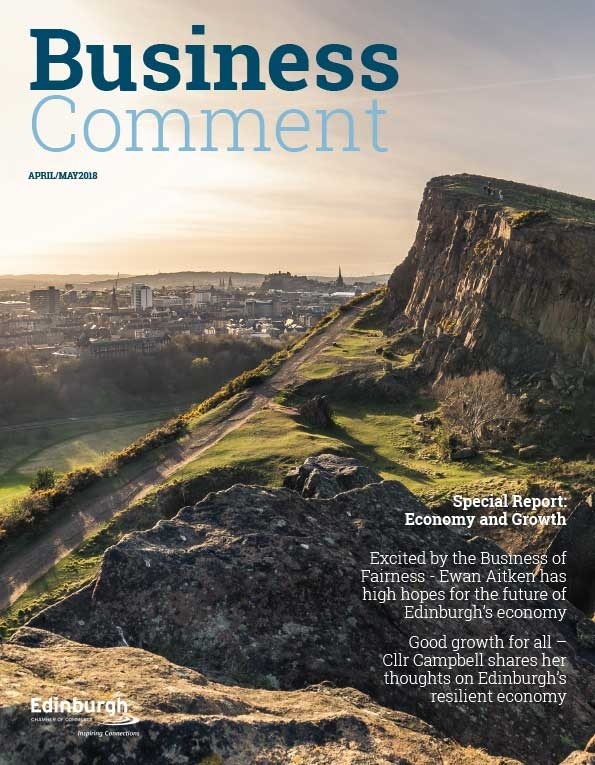 Again, in recent weeks we have been cheered by the announcement that a partnership of local authorities is seeking to win a £1 billion city deal for Edinburgh City Region, with City of Edinburgh working alongside Scottish Borders, Fife, Mid, East and West Lothian councils to develop the deal with UK and Scottish Government to grow our local and regional economy. The £1 billion is expected to leverage a further £3.2 billion of private sector funding, generating tens of thousands of new jobs. And key to all of this? Maximising the opportunities afforded by the city’s world-class research base and exploiting the wide range of technologies being pioneered throughout the city – and that means investing further in our digital connectivity. All of us in business know how much we have come to rely on the internet as a tool of critical importance. Research carried out for BT and the British Chambers of Commerce last year showed that two-thirds of businesses believe their companies could not survive more than a day or two without an internet connection. Sixty per cent of those surveyed are using cloud-based applications and almost half have staff working away from the office at least once a week. The RSE paper laid bare the scale of the opportunity, and the imperative for continuing to invest: “Communications infrastructure has now become as crucial as transport and power to a country’s economic and social well-being. There is a growing gap between those countries prepared to exploit the new opportunities provided by continuing advances in communication and computation, and those who are not. That drive for digital empowerment is very much to the fore in thinking at Scottish and local Government level. Digital strategies are aligned. However, according to the RSE more focus does require to be put on creating a more level digital playing field, with many of Scotland’s more remote or disadvantaged areas suffering from the so-called “digital divide.” There is a real economic cost. PriceWaterhouseCoopers has estimated that bringing 4m socially deprived and unconnected people online would contribute £22 billion to the UK economy via increased education and employment. So what role can we, as a Chamber of Commerce, play in ensuring that we continue to drive towards the highest standards of digital connectivity in our own city, and that our city must be part of a digitally connected country. Your Chamber, recognising the ever-increasing importance of Digital, has established an “Inspiring Digital” policy group, which brings together businesses representing connectivity, data, people and devices. In addition, our Partners In Enterprise include a number of organisations who specialise and excel in this area, such as 4G Scotland, Onyx and Sky. We believe that in seeking to influence the best way forward for our members in this vital area, we take an holistic approach. Infrastructure is essential, but creating people skilled in the use of the technology and able to innovate is just as vital, as is widening access. Working with our partners, including City of Edinburgh Council and Scottish Government, we will play an active role in ensuring our digital future is bright.